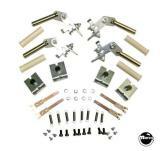 "Flipper rebuild kit Williams Fliptronic" has been added to your cart. All-new flipper parts kit is the answer for sticky, sluggish, weak, or dead flippers. 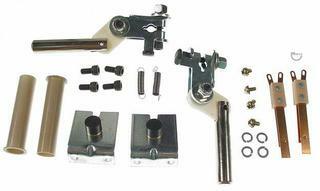 Flipper kit contains parts to rebuild both left and right flipper units. 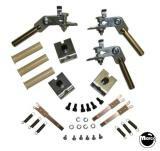 Includes flipper feeler gauge to assist in correct bearing to crank gap adjustment. These replacement parts fit 1992-1999 Williams and Bally machines with Fliptronic® flippers. (To identify a Fliptronic flipper, check the switch on the flipper. If it is normally OPEN, it is a Fliptronic flipper). Also check your game manual for flipper description. Bushings need to be ordered separately. The kit fit my 1992 Fish Tales perfectly.